Mappermundi is a website for creating and sharing your personalised electronic tours of the world. Whether you'd like to know about the interesting places to visit in a specific location, or whether you've visited a location and would like to share your experience, Mappermundi is the website for you! The name Mappermundi is derived from the Latin words mappa (cloth or chart) and mundi (of the world). We invite you to join us in mapping out the world! Selecting either of the first two options centres the map on the current location of the visitor. 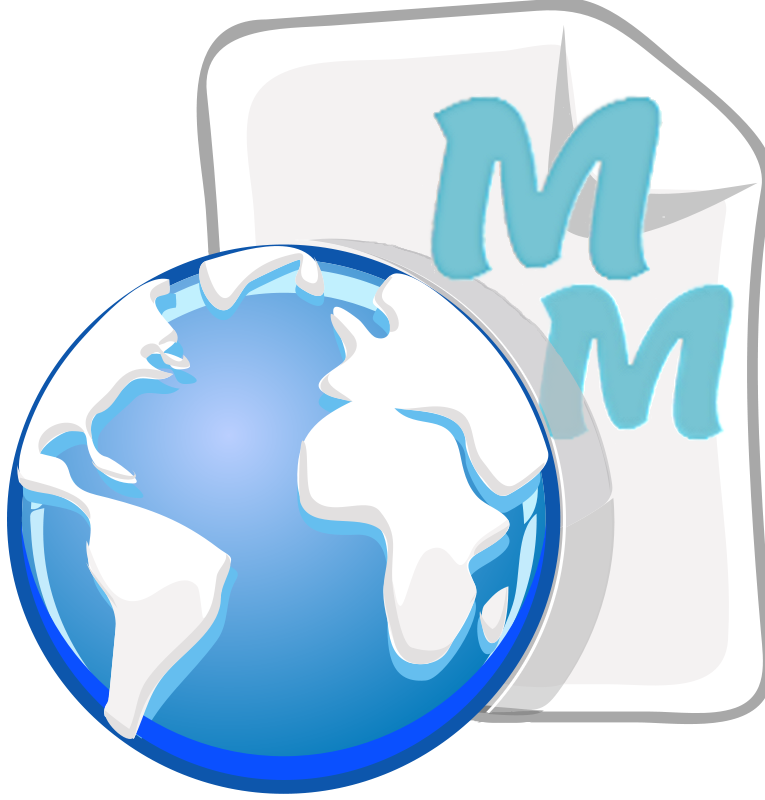 The left sidebar allows users to view the Forum, Blogs, and Services of Mappermundi. There are also links to external sites like Tripadvisor. The right sidebar is reserved for future advertising. Registration is not mandatory: a person may search for tours without being a registered user. However, only registered users may upload, create and delete tours. You must also agree to the terms and conditions by checking the box. If the registration is successful, a welcome email will be sent to your email address. If the registration is not successful, an error message will be displayed. You must be a registered user in order to login. If you have not yet registered, please do so before attempting to login. To login, enter the username and password you chose during registration. Then click on the Login button. If the credentials are correct, you will be taken to your Account page. If the credentials are not correct, you will receive an error message. You may retry or click on the Forgot Credentials link to reset your password. If you have forgotten your login credentials, click on the Forgot Credentials link inside the Login form. Enter your email address, and click on the Reset Password button. If the email address is not registered, an error message will be displayed, and the link to registration will be offered. If you enter an unregistered email address multiple times, the captcha image will be displayed, and you will be required to enter the characters from the captcha image before being able to reset your password. Confirm your new password by entering it a second time. Confirm your new password by entering it a second time. Submit your new password by clicking on the Change Password button. If successful, the account page will be displayed. 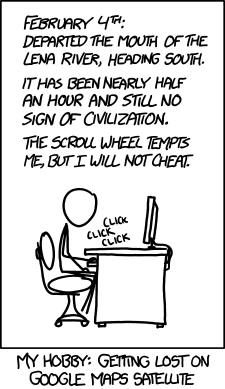 Otherwise, an error message will be displayed. Searching can be done by any person, including unregistered and not logged in users. The search results will contain only those tours with a privacy level of public. All tours within this radius will then be displayed, if any. Otherwise, you will be informed that no results have been found. Tours may be created manually either inside Mappermundi or inside Google Earth. To create a tour inside Google Earth, you need to install Google Earth first, and then refer to this tutorial. Note: you must create placemarks as part of your Google Earth tour, to be able to view the tour in Google Maps later via Mappermundi. Tours may contain text descriptions, images, videos, and points of interest but may not be larger than 8MB. Choose a point by entering a search string (city, country, zip code, POI etc.) or by finding the point manually on the map. Once you are located the point, enter its name and description. You may also select an icon of your choice for the point. Save the point by clicking on the Save Point button or delete the point by clicking on the Delete Point button. Repeat this process until all points that make up your tour have been added. You may then reorder the points, if necessary. Next, click on the Done button and fill in all fields (the same as those required for uploading a tour). Finally, click on the Create Tour button. If the tour was successfully created, a success message will be displayed. You can view the new tour by going to your account page. Tours may only be uploaded by registered users, and may not be larger than 8MB. Login to your account and click on the Upload button next to My Tours. The New Tour form will be displayed. Approve comments. This is a Boolean (true/false) field, and true is the default. Postal code. This field is not mandatory. City. This field is mandatory. Country. This field is mandatory. Verify, edit or enter the mandatory fields, then click on the Create Tour button. To go back to the previous form, click on the Back button. If the tour is successfully uploaded, you will be directed to the Tour Successfully Created form. Otherwise, an error message will be displayed. Tours can be viewed by registered or unregistered users by searching for a tour. Registered users can also view their own tours by logging into their account and selecting one of the previously uploaded tours (if any). Tours can only be edited by the owner of the tour. Login to your account and select a previously uploaded tour (if any). The tour and its attributes will be displayed. Tours can also be downloaded or shared from this page. Additionally, owners can manage the comments of the specific tour and select between approving and not approving the comments for the specific tour. Tours can only be shared by their owner. Login to your account and select a previously uploaded tour. Click on the Sharing button. A popup screen will appear and allow you to select the privacy level of the tour, and to enter the email addresses of the users who the tour should be shared with. By selecting the Send a notification email checkbox, owners can decide if each user should receive an email inviting them to view the shared tour. They can also customise the text for the email or use the default text. Clicking the Save button, will send the emails containing the same text to each of the users. The users may then access the tour at any time by clicking on the link in the email. If the tour is private, users must login first in order to view the tour. Otherwise, they are taken directly to the tour. Users may then download the tour, rate it and comment on it. The comments of other users (if any) can be viewed by clicking on the Load More Comments button. Public tours are accessible to anyone, even if the person is not a registered Mappermundi user. This is the default. Private tours are only accessible to those who have been given access to the tour by the owner, and only if they are registered Mappermundi users. Unlisted tours are accessible to those who have been given access to the tour by the owner, even if the person is not a registered Mappermundi user. Public tours can be rated by anyone, even if the person is not a registered Mappermundi user. Private tours can be rated by anyone who has been given access to the tour by the owner, but only if the person is a registered Mappermundi user. Unlisted tours can be rated by anyone who has been given access to the tour by the owner, even if the person is not a registered Mappermundi user. Rating is achieved by selecting between 1 and 5 stars, and can only be done once per tour. Owners may not rate their own tours. Public tours can be commented on by anyone, even if the person is not a registered Mappermundi user. Private tours can be commented on by anyone who has been given access to the tour by the owner, but only if the person is a registered Mappermundi user. Unlisted tours can be commented on by anyone who has been given access to the tour by the owner, even if the person is not a registered Mappermundi user. If the owner of a tour has chosen to approve the comments first, the comments will not appear until he/she does so. The owner will be notified via email of any comments that require approval, and the user will be notified by email once the owner has approved the comments. Likewise, if the owner deletes a comment, the user will be notified via email. If the owner of a tour has chosen not to approve the comments first, they will appear immediately. Owners may not comment on their own tours. Tour owners may delete their own tours from their account. Login to your account and select the tour(s) to be deleted using the checkboxes alongside each tour. Then click on the Delete All Selected Tours button. A confirmation message is displayed to confirm the number of tours that have been deleted. Comments can be managed by the owner of a tour. They may approve or delete comments. Login to your account and select a previously uploaded tour (if any). Click on the Manage Comments button. Owners are notified via email of all new comments that require approval (if they've chosen to approve comments for the specific tour). Selecting the Show unapproved comments only checkbox displays only those comments that require approval. Otherwise, all comments are shown. Owners can select several specific tours using the checkboxes or select all comments, and approve or delete them. The owner can also select here whether to manually approve comments for the tour or not. Clicking on the Howto button in the toolbar links you to this page. Clicking on About link in the page footer provides the disclaimer and licensing details of Mappermundi. Clicking on Contact us link in the page footer provides the contact details of Mappermundi.